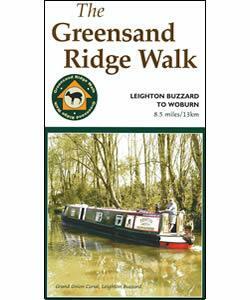 Geotrails in Bedfordshire - Stockgrove at Leighton BuzzardWalking RouteExplore Rushmere Country Park from a new perspective and discover the geological features of this important site on this walk from the Bedfordshire Geology Group. Rushmere Country Park is between Leighton Buzzard and Milton Keynes, northwest of Heath and Reach on the Great Brick Hill road and is signposted from the A5. Parking is available at the car park at the Stockgrove entrance to the park. Start Description This circular walk starts from the car park at the Stockgrove entrance to Rushmere Country Park. Explore Rushmere Country Park from a new perspective and discover the geological features of this important site on this walk from the Bedfordshire Geology Group.